You know it’s summertime in Baltimore when steamed crabs are celebrated at festivals all around Charm City! I recently attended Drink Eat Relax’s “Chesapeake Crab and Beer Festival” and had a crabby good time! This is the 5TH ANNUAL Maryland Tradition and compared to the past years of this fun foodie event, it just keeps getting better! The Festival is an ALL-YOU-CARE-TO-TASTE extravaganza complete with over 30,000 crabs, lots of beer, arts & crafts, live music, family fun and so much more! Take a look at what over 30,000 people have come to enjoy. •LOTS OF SUMMERTIME FUN FOR THE WHOLE FAMILY! Over 50 beers and wines and a few spirits were available for unlimited tasting during the festival! All of your favorite craft beers and some great wines were served to highlight summer. Nothing says summer like a glass of rosé and I especially enjoyed sampling the variety of rosé wines that were offered. •ALL YOU CARE TO TASTE CRABS. I attended the ALL YOU CARE TO TASTE VIP experience. Guests received a souvenir mug and mallet, unlimited tastes of the beer and wine on-site. This includes ALL YOU CARE TO TASTE Crabs, Corn on the Cob, Cole Slaw and Potato Chips. * Ticket purchasers are GUARANTEED communal seating under a tent. Beers are served in our mug so you can sit and enjoy the day. If you are not a crab lover you can opt to buy a ticket for the ALL YOU CARE TO TASTE BEER experience. Guests will enjoy a souvenir mug, unlimited tastes of the beer and wine on-site. Any food will be purchased ALA CARTE. * Ticket purchasers cannot enter the VIP Crab & Beer Tents, but some limited seating is available first come, first serve. There are Crabs and MORE CRABS and MORE CRABS and even MORE CRABS – but there will be other great food options as well available for purchase. There are no vegetarian options available. Unless outlined – all food is sold ala carte. I got the chance to finally try Urban Oysters. This creative pop up restaurant is the brainchild of a young entrepreneur Jasime. Thanks to her dad, she grew up with a love for oysters. I had been following her on IG and was excited to finally try them out. Chargrilled is their preferred way to make them. Using creative yet familiar toppings makes them very accessible for those who may be trying them for the first time. Just look at these beauties! Sit back or get up and dance to the fun summer sounds from area bands! Plenty of seating for crackin’ to your heart’s content. They even ordered enough crab paper to stretch all the way across the Harbor and back. ALL SHOW FEATURES are undercover – so Rain or Shine – we were all fine. All in all, we had a crackin’ good time! If you missed the event it is coming back in August at the National Harbor in DC. For more details go to www.mdcrabfest.com! Thanks Trigger Agency for hosting SobeSavvy.com! I really enjoyed my dining experience and looking forward to next time! If you were not in Baltimore,MD this past Saturday 6/24/17, you missed a crackin’ good time at the 4th Annual CHESAPEAKE Crab & Beer Festival ! Held at Rash Field-Inner Harbor, this festival is the epitome of summertime in Maryland: fun, friends, beer, music and steamed crabs! If you love Maryland Blue Crabs steamed in seasonings and served hot,then the ALL-YOU-CARE-TO-TASTE VIP tent is for you. I attended the event with my husband, a native Baltimorean, and he was quite impressed with how organized the event was and how delicious the crabs tasted. After checking in, once you get your wristbands, you can opt to walk around to try other food vendors, sample beers, liquors, wines, play some games, dance to live music, buy crabs a la carte and sit at picnic tables OR if you bought the VIP option you can head to the tent for the unlimited crab feast. Inside VIP are signs that let you know 6 crabs are served at a time and not to worry, they won’t run out! Along with your tray of crabs you get: a souvenir beer mug, a crab mallot, corn, a bag of UTZ chips ( a MD fave) cole slaw, melted butter, vinegar and extra seasoning. There was plenty of seating along with paper towels and buckets for shells. Friendly staff was always on hand to empty those buckets and to help with anything that was needed. Both serious crab lovers and new eaters can be seen in the tent throwing down on these crustaceans. Beer and Wine was available inside the tent as well. Everyone seemed to be satisfied, smiling and enjoying the crab feast! The next Chesapeake Crab & Beer Festival is being held-National Harbor,MD August 19, 2017. Stay tuned for more details and Follow SobeSavvy.com for your chance to win 2 VIP Tix to the event! Here are some photos , As Seen on the Scene by SobeSavvy.com ! This is the 4TH ANNUAL Maryland Tradition! The Festival is an ALL-YOU-CARE-TO-TASTE extravaganza complete with over 30,000 crabs, lots of beer, arts & crafts, live music, family fun and so much more! SobeSavvy.com is hosting a giveaway for one lucky winner to win (2) VIP tickets to Session Two: 5pm-9pm *Enter Here* Winner will be chosen at random on June 14 at 10 am est. LOTS OF SUMMERTIME FUN FOR THE WHOLE FAMILY! ALL YOU CARE TO TASTE Over 50 beers and wines and a few spirits. All of your favorite craft beers and some great wines will be served to highlight the summer afternoon on-hand. ALL YOU CARE TO TASTE CRABS. Enjoy all the crabs you can handle during the four hours of the show. Our crabs vary in size from medium to large and will be offered at 6 crabs at a time, per person. BEER MUGS. Beers are served in our mug so you can sit and enjoy the day. OTHER GREAT FOOD. There are Crabs and MORE CRABS and MORE CRABS and even MORE CRABS – but there will be other great food options as well available for purchase. There are no vegetarian options available. Unless outlined – all food is sold ala carte.ALA CARTE CRABS OPTION WILL BE SOLD 6 CRABS (1/2 dozen) AT A TIME PER PERSON FOR $35 (WHILE SUPPLIES LASTS)LIVE MUSIC. Enjoy fun summer sounds from area bands.THOUSANDS OF TABLES AND CHAIRS AND HUGE TENTS for crackin’ to your heart’s. We’ve even ordered enough crab paper to stretch all the way across the Harbor and back. ALL SHOW FEATURES are undercover – so Rain or Shine – you should be fine. VIP CRAB & BEER TICKET: This option offers guests an ALL YOU CARE TO TASTE experience. Guests will enjoy a souvenir mug and mallet, unlimited tastes of the beer and wine on-site. This includes ALL YOU CARE TO TASTE Crabs, Corn on the Cob, Cole Slaw and Potato Chips. * Ticket purchasers are GUARANTEED communal seating under a tent. *Crabs are offered 6 at a time, per person. Other food items will be served one portion at a time. See here for photo recap from last year! If you’d like to find out what over 22,000 people have come to enjoy, don’t miss your chance to attend this year. Advance ticket sales close the 6/21/17 Wednesday before the event date at 5pm or when tickets are sold out. SobeSavvy Tip: If you plan to travel to the event or are local and want to make a staycation out of it, book your stay today at the Hyatt Place Baltimore Inner Harbor! Summer’s here and it is a Baltimore tradition to celebrate the season with friends/family, crabs and beer! 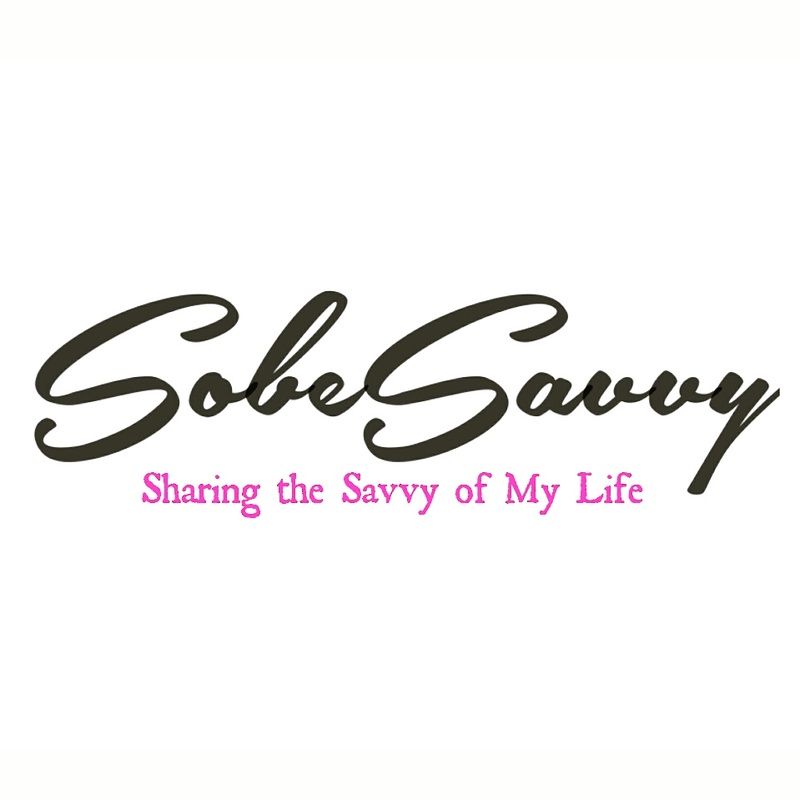 SobeSavvy.Com joined other crab lovers at the Chesapeake Crab & Beer Festival for the Baltimore’s Largest Crab Feast June 25, 2015 at Rash Field – Inner Harbor, Baltimore, MD. • THOUSANDS OF TABLES AND CHAIRS AND HUGE TENTS for crackin’ to your heart’s content. They even ordered enough crab paper to stretch all the way across Inner Harbor and back. Many options were offered to enjoy this experience but the best option was the VIP CRAB & BEER TICKET: For $89 Advance This option offerered guests an ALL YOU CARE TO TASTE experience. Guests enjoyed a souvenir mug and mallet, unlimited tastes of the beer and wine on-site. This included ALL YOU CARE TO TASTE Crabs, Corn on the Cob, Cole Slaw and Potato Chips. * Ticket purchasers are GUARANTEED communal seating under a tent. Be sure to Follow on Facebook and Twitter to get information @DrinkEatRelax. And you can also follow on Snapchat! We had a crackin’ good time at the festival. As a native of Baltimore, it gets no better than crabs in the summertime! Here are some of my fun event photos from the 2nd session (5pm-9pm) of #mdcrabfest! Enjoy! As you can see my mom and I like to spice things up..lol..we had a crackin’ good time !